Executions are monitored by video to ensure they comply with strict rules, making it possible to describe precisely how Jiang Yong will die. After being sedated at the local prison, he will be loaded into the van and strapped to an electric-powered stretcher. This then glides automatically towards the centre of the van, where doctors will administer three drugs: sodium thiopental to cause unconsciousness; pancuronium bromide to stop breathing and, finally, potassium chloride to stop the heart. Death is reputed to be quick and painless – not that there is anyone to testify to this. The idea for such a ‘modern’ scheme is rooted in one of the darkest episodes in human history. 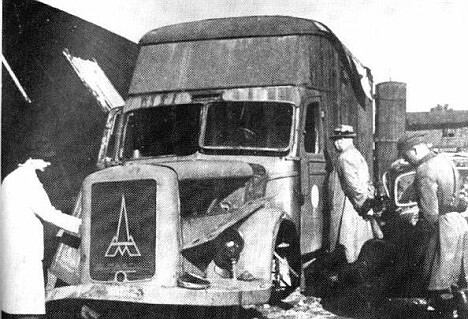 The Nazis used adapted vans as mobile gas chambers from 1940 until the end of World War II. In order to make the best use of time spent transporting criminals and Jewish prisoners, Hitler’s scientists developed the vehicles with a hermetically sealed cabin that was filled with carbon monoxide carried by a tube from the exhaust pipes. The vans were first tested on child patients in a Polish psychiatric hospital in 1940. The Nazis then developed bigger models to carry up to 50 prisoners. They looked like furniture removal vans. Those to be killed were ordered to hand over their valuables, then stripped and locked inside. As gas was pumped into the container and the van headed towards graves being dug by other prisoners, the muffled cries of those inside could be heard, along with banging on the side. With the ‘cargo’ dead, all that remained was for gold fillings to be hacked from the victims’ mouths, before the bodies were tipped into the graves. 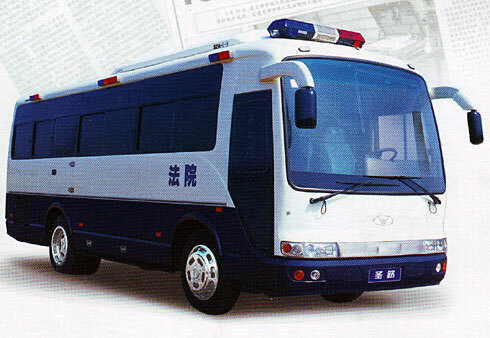 Now, six decades later, just like the Nazis, China insists these death vans are ‘progress’. The vans save money on building execution facilities in prisons or courts. And they mean that prisoners can be executed locally, closer to communities where they broke the law. ‘This deters others from committing crime and has more impact,’ said one official. Indeed, a spokesman for the makers of the ‘death vans’ openly touted for trade this week, saying they are the perfect way to ‘efficiently and cleanly’ dispatch convicts with lethal injections. Reporting steady sales throughout China, a spokesman for Jinguan Auto – which is situated in a green valley an hour’s drive from Chongqing in south-western China – said the firm was bucking the economic trend and had sold ten more vans recently. The exact number in operation is a state secret. But it is known that Yunnan province alone has 18 mobile units, while dozens of others are patrolling in five other sprawling provinces. Each van is the size of a specially refitted 17-seater minibus. Officials say the vehicles are a ‘civilised alternative’ to the traditional single shot to the head (used in 60 per cent of Chinese executions), ending the life of the condemned quickly, clinically and safely – proving that China ‘promotes human rights now,’ says Kang Zhongwen, designer of the ‘death van’. It seems a perverse claim, but certainly the shootings can be gruesome. Once carried out in public parks, these executions -sometimes done in groups – have seen countless cases of prisoners failing to die instantly and writhing in agony on the ground before being finished off. There are other concerns: soldiers carrying out the shooting complain that they are splashed with Aids-contaminated blood. After the shooting, relatives are often presented with the bullet hacked from the condemned’s body – and forced to pay the price of the ammunition. While posing as a modernising force in public, Chinese leaders remain brutal within their own borders. 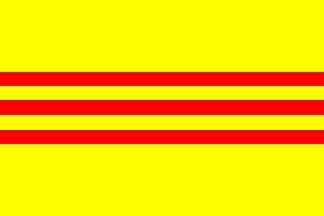 They are, however, anxious to be seen to be moving away from violence against their own people, stressing that all judicial decisions have been taken out of the hands of vengeful local officials and must be ruled on from Beijing. China has traditionally always taken a ruthless, unemotional view of crime and punishment. Before injections and bullets, the most chilling sentence was death by Ling Chi – death by a thousand cuts – which was abolished only in 1905. The condemned man was strapped to a table and then, in what was also known as ‘slow slicing’, his eyes were gouged out. This was designed to heighten the terror of not being able to see what part of his body would suffer next. Using a sharp knife, the executioner sliced at the condemned’s body – chopping off the ears, fingers, nose and toes, before starting to cut off whole limbs. Traditionalists insisted that exactly 3,600 slices were made. The new mobile execution vans may, indeed, be more humane than this, but their main advantage in official eyes is financial. According to undercover investigations by human rights’ groups, the police, judiciary and doctors are all involved in making millions from China’s huge trade in human body parts. Inside each ‘death van’ there is a dedicated team of doctors to ‘harvest’ the organs of the deceased. The injections leave the body intact and in pristine condition for such lucrative work. At clinics all over China, these organs are transplanted into the ailing bodies of the wealthy – and thousands more who come as ‘organ tourists’ from neighbouring countries such as Japan, South Korea, Singapore and Taiwan. Chinese hospitals perform up to 20,000 organ transplants each year. A kidney transplant in China costs £5,000, but can rise to £30,000 if the patient is willing to pay more to obtain an organ quickly. With more than 10,000 kidney transplants carried out each year, fewer than 300 come from voluntary donations. The British Transplantation Society and Amnesty International have condemned China for harvesting prisoners’ organs. Laws introduced in 2006 make it an offence to remove the organs of people against their will, and banned those under 18 from selling their organs. But, tellingly, the law does not cover prisoners. ‘Organs can be extracted in a speedier and more effective way using these vans than if the prisoner is shot,’ says Amnesty International. The bodies cannot be examined. Corpses are driven to a crematorium and burned before independent witnesses can view them. A police official, who operates a ‘multi-functional and nationwide, first-class, fixed execution ground’ where prisoners are shot, confirmed to the Mail that it is always a race against time to save the organs of the executed – and that mobile death vans are better equipped for the job. ‘The liver loses its function only five minutes after the human cardiac arrest,’ the officer told our researcher. While other countries worry about the morality of the death penalty, China has no such qualms. For the Beijing regime, it is not a question of whether they should execute offenders, but how to do it most efficiently – and make the most money from it.